The veterans of the victorious 1990-91 campaign against Iraq suffer from the mysterious Gulf War Illness, and are getting little medical assistance. Research doesn't show long-term neurological problems from exposure to low levels of sarin. Veterans are getting sick and dying now. We need our VA to pick up the pace before more veterans get sick and die. Last month, Sen. Tammy Baldwin, a Democrat from Wisconsin, announcedthat reforms and investments she fought for to improve veterans’ care were passed by the Senate as a part of the fiscal year 2017 Military Construction and Veterans Affairs funding bill. There comes a time when you’re no longer the flavor of the day. It’s a given that our health issues are not going to get better as we get older. A single cause for Gulf War illnesses may never be found, but research is finding evidence of physical disease that could lead to better treatments, medical experts said during a forum in Washington on Operation Desert Storm exposures Thursday. 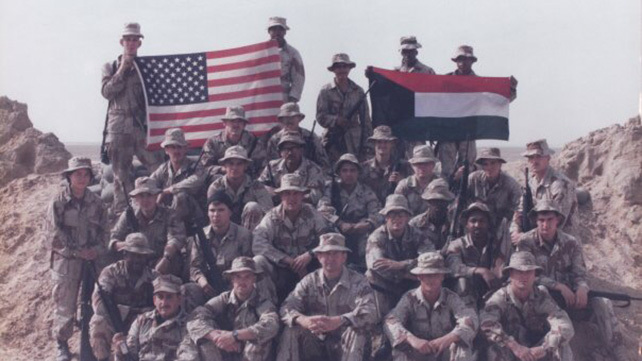 Roughly a quarter of the nearly 700,000 troops who deployed for the 1990-91 Iraq conflict have ill-defined chronic symptoms such as joint pain, gastrointestinal disorders, fatigue, headaches, insomnia and memory problems. Dr. James Baraniuk, an associate professor at Georgetown University who conducts imaging research on veterans with Gulf War illnesses, said his work and other studies are zeroing in on biological evidence, or biomarkers, in the brain that provide proof of damage and could lead to improved treatment. 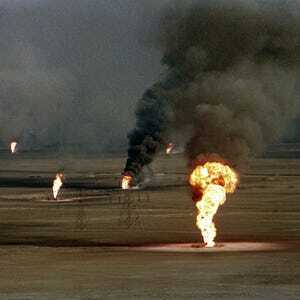 “What is going on with the brains of the Gulf War veterans, our neurotoxic exposed veterans? This research has the possibility to bring closure,” Baraniuk said during a symposium hosted by the Center for 21st Century Security and Intelligence at Brookings and Georgetown University. According to Baraniuk, the research could have applications for understanding non-combat-related diseases like Alzheimer's, chronic fatigue syndrome and fibromyalgia. 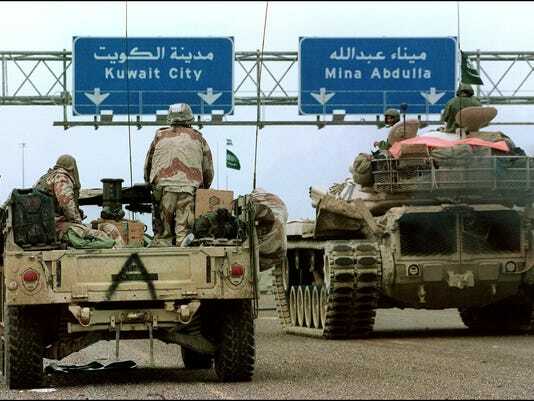 In many cases, the causes of Gulf War illnesses are unknown. An indeterminate number of troops were exposed to chemical weapons when coalition forces destroyed a storage facility at Khamisiya, Iraq, in March 1991. Other troops were given anthrax vaccines containing an additive, squalene, that may have caused a reaction. Some research indicates that some troops had bad reactions to the anti-nerve agent pyridostigmine bromide or the antibiotic ciprofloxacin, which also was administered. At the forum, researchers, veterans and Veterans Affairs medical leadership discussed how ill veterans are faring and what is being done to help them. Dr. Carolyn Clancy, VA deputy undersecretary for health for organizational excellence, said VA, which maintains a registry of Gulf War veterans, continues to support research on unexplained chronic multisymptom illnesses, focusing on specialized care for veterans. According to Clancy, VA provides comprehensive physical exams to all Persian Gulf War veterans on request and is conducting research on diagnosis and treatment. She said the VA, which spent $14 million on Gulf War illnesses research in 2015, must strike a balance between finding a cause and researching treatments. Recent discoveries at VA have led to improved treatment for insomnia, yielding better overall health outcomes for these veterans and improved understanding of the gastrointestinal symptoms, she added. Baraniuk said VA needed to ensure that its medical personnel understood Gulf War illnesses as a physical disease and also needed to improve its tracking of these veterans as they age. “Some of these veterans have lung cancers, brain cancers and yet there are no statistics on deaths. It seems like with a group that is in a registry, there should be a way of tracking people," he said. 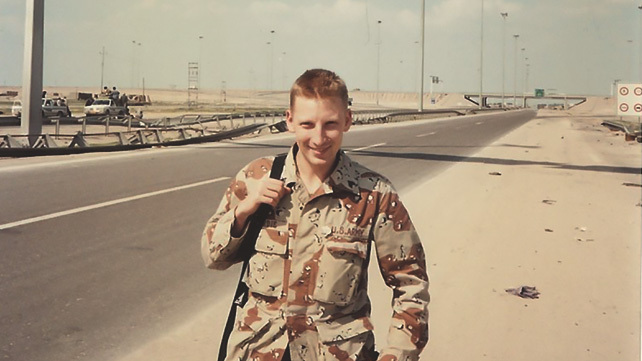 Rep. Mike Coffman, R-Colo., a Desert Storm veteran who served with a Marine Corps light armored reconnaissance unit and now sits on the House Veterans' Affairs Committee, said he believes Gulf War veterans are a forgotten group that deserves continued attention.